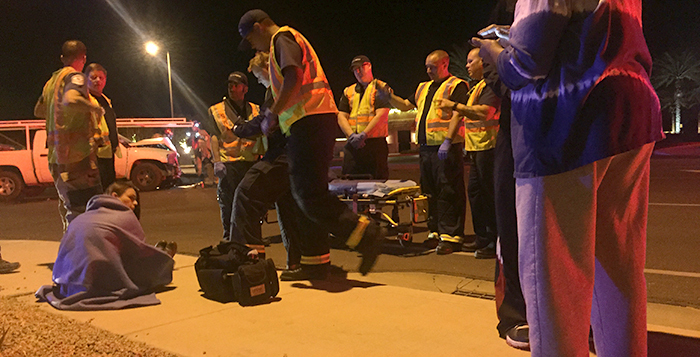 A traffic collision at around 6 p.m. Monday sent three people to the hospital. 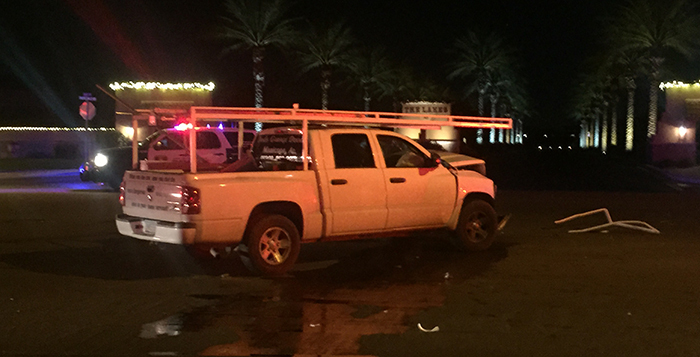 The two-vehicle crash occurred on Smith-Enke Road at Horton Drive in front of the main entrance to the Lakes at Rancho El Dorado. 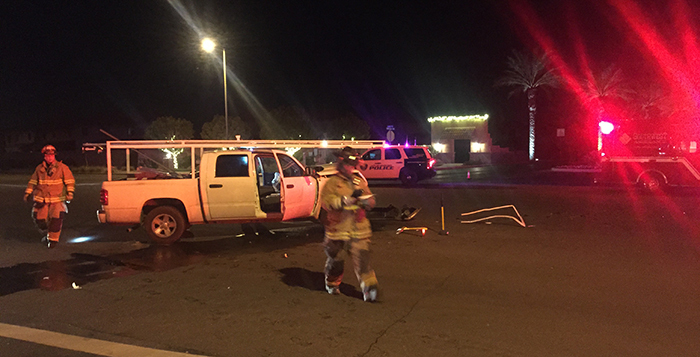 According to Maricopa Police Department, the driver of a Chevy Malibu failed to yield at the stop sign on Horton Drive and collided with a Dodge pickup truck. The truck came to a stop in the intersection, but the car continued to travel several yards across the roadway before striking the opposite curb and stop. The driver of the car had to be extricated by Maricopa Fire Department. 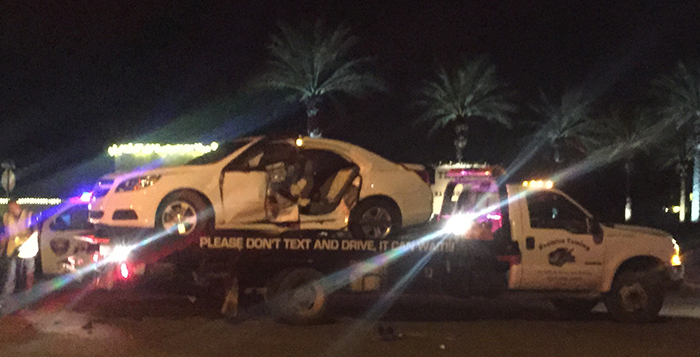 She and the two people in the truck had non-life-threatening injuries and went to Chandler Regional Hospital.